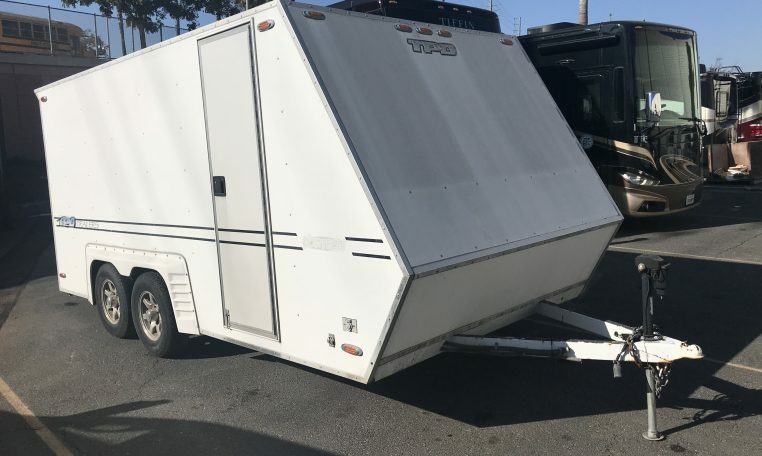 Selling my 2006 20’ TPD Vortech enclosed trailer. It has a work bench in front with a built in tool box. The bench has two doors to allow under bench storage. There are also four overhead cabinets on the right side. The spare tire is also mounted on the inside. The trailer has a roof mounted heat pump that provides air conditioning and heat. 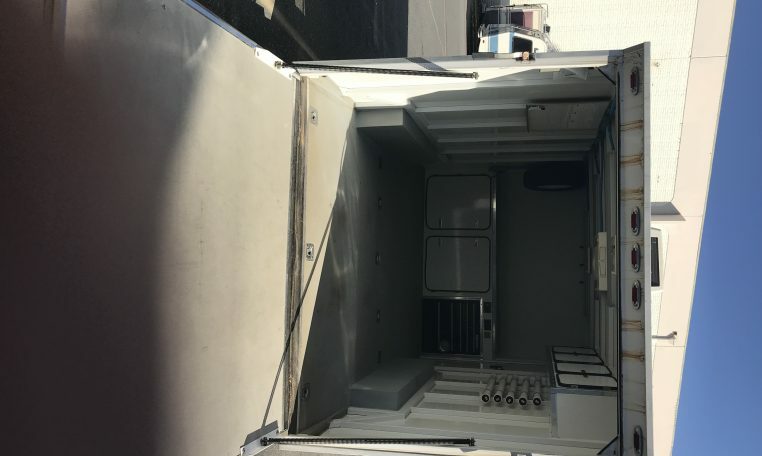 The trailer has AC lighting on the ceiling as well as AC outlets at the front and rear of the trailer. It also has the DC lighting system. The floor and top of work bench have been covered in Rhino Liner. There are also floor mounted tie downs throughout. The trailer is set up for a generator or utility power. An automatic transfer switch selects the source of power. 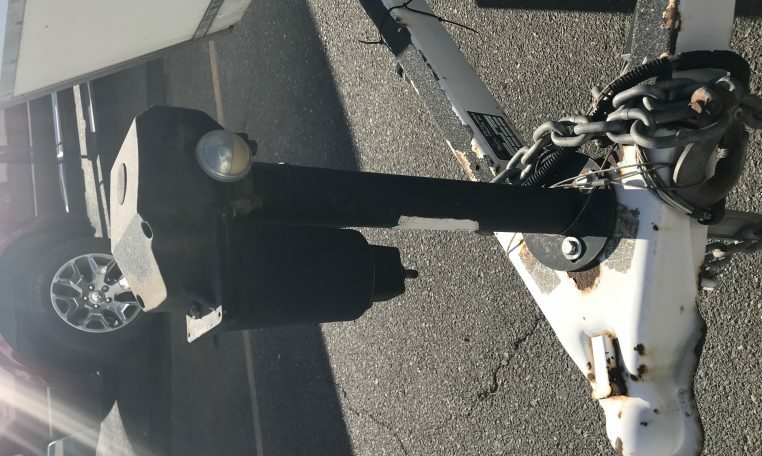 There was an Onan RV generator mounted on the front frame but was stolen. The wiring is still there in case someone want to control the generator START/STOP from inside the trailer. 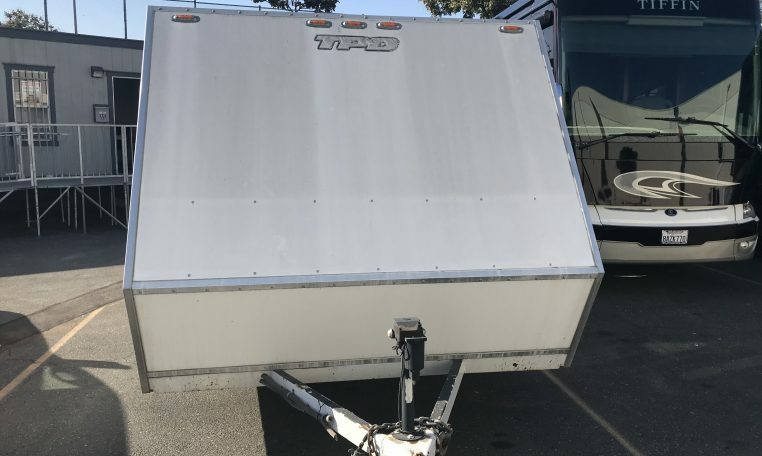 There is also a SHORE POWER outlet on the exterior of the trailer so you can plug in an extension cord from your house or someone else’s generator. I also have AIR CURTAINS for the rear door. Overall length is 20’. Inside length from rear door to front work bench is 13’ 6”. 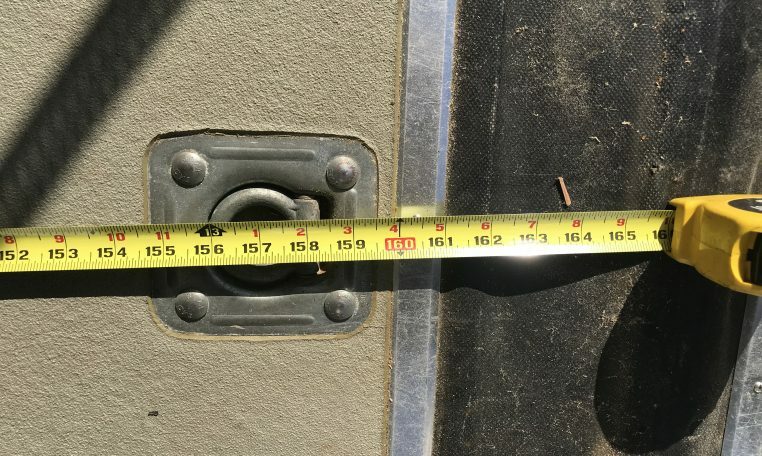 The inside dimension between the wheel wells is 80”. Inside height is pretty high. I am 6’ 2” and can stand inside with my helmet on. 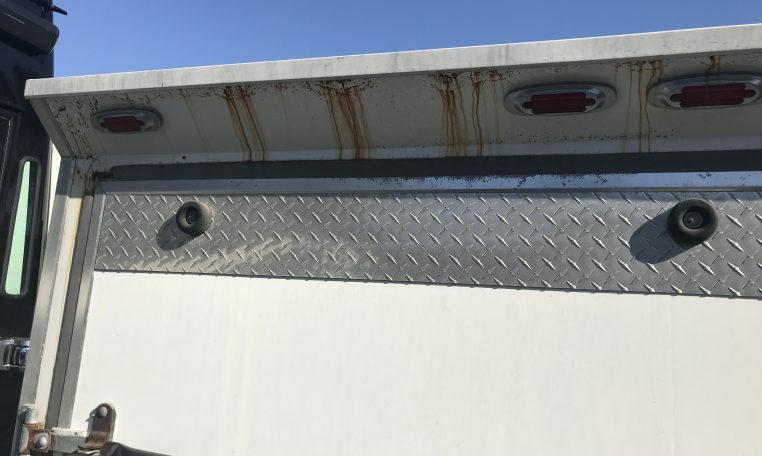 There is some rust showing above the ramp door. TPD makes a replacement panel if you decide to change it. 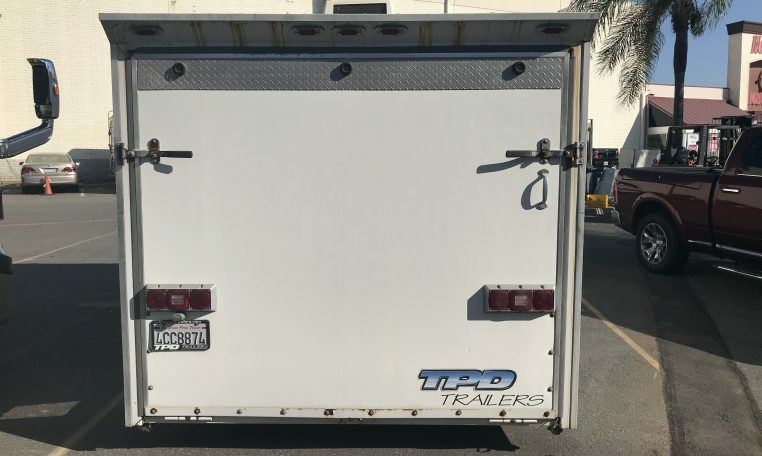 The trailer is located in Orange County. Please email me with any questions. 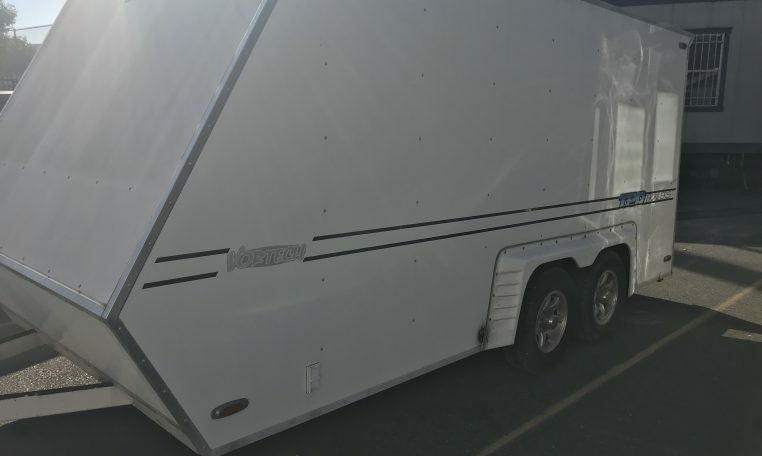 Browse through the selection of trailers that have recently been added to our inventory.